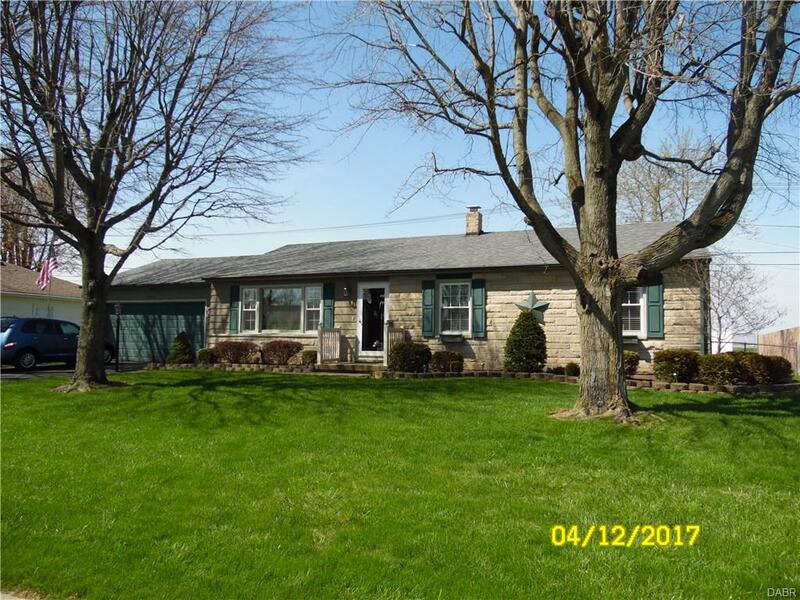 This beautiful ranch home is located in the beautiful city of Richmond Indiana and is worth taking the time to see. Featuring desired neighborhood,3 bedrooms one of which is currently being used as a study but can be converted back to a bedroom. Master bedroom with half bath.Some hardwood floors and there is hardwood floors under the carpeted areas. Full finished basement with family room, private office, large laundry room and private workshop area. Sump pump with back up. Lots of storage space. 2 car garage. From the breakfast area walk out the patio doors to a nice covered patio with ceiling fan and fenced back yard. Nice storage shed for all your lawn tools. No neighbors behind you for that extra privacy. Water heater installed in 01, New roof 2016, New windows 2009. Central air, paved driveway, stone front this home is move in ready with beautiful living area. Built in china hutch. Owners are relocating. Don't let this one pass you by. Wont last long at this price. This listing courtesy of Robbin Bitner, BH&G Real Estate Big Hill .